Picture perfect, this princess diamond ring is perfectly crafted from timeless white gold, beautifully and intricately detailed with sparkling shape and style. 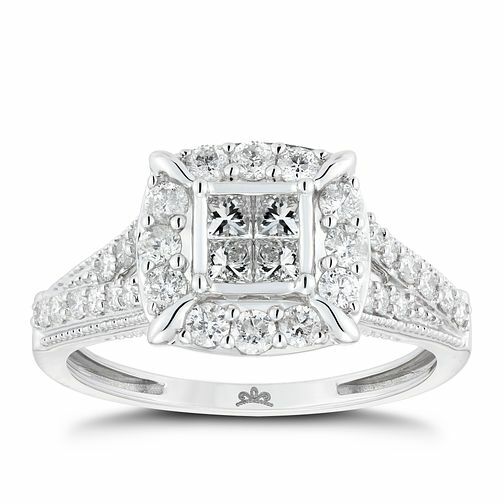 Make her feel like a Princess, with a crown elegantly engraved on the inside of this shimmering ring. Princessa 9ct White Gold 3/4ct Diamond Cluster Ring is rated 5.0 out of 5 by 8.